Porsche Santa Barbara explores the upcoming release of the 718 Boxster and 718 Cayman which blend legendary performance with modern design and performance innovations. The Porsche Boxster and the Porsche Cayman are well-loved mid-engine sports cars that have been popular for over a decade. However, before these two favorite models arrived on the scene there was the legendary Porsche 718. This model was one of the earliest mid-engine sports cars developed by Porsche in the years after the original Porsche Spyder models. The Porsche 718 was lightweight, fast, and featured a stunning design. It offered drivers exceptional power, control, and overall sport performance. The model was discontinued for a time as the brand introduced the Boxster and the Cayman and drivers will be excited to learn that it is once again returning. The Porsche 718 has a strong legacy of setting records on the track and will bring this heritage back with the new 718 Boxster and 718 Cayman expected to arrive in showrooms early in 2016. The 718 line of vehicles will herald back to their namesake with efficient and powerful motorsport performance. Reflecting the legacy of the classic 1957 Porsche 718, the new models will feature new flat-four turbo engines recently developed by Porsche engineers. These engines are designed to deliver excellent acceleration and power. The Porsche 718 Boxster and 718 Cayman will feature the two popular design motifs of the open-top and closed mid-range sports car. This blend of a legendary classic with popular current models is expected to be well-received throughout the country. Drivers can learn more about the unique features and performance of both the 718 Boxster and the 718 Cayman in the weeks to come prior to their release. Each one promises a unique driving experience that classic and modern car lovers alike will love. 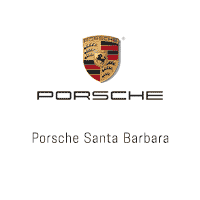 Drivers can also learn about the other exciting new models and model updates available in 2016 by contacting a friendly sales representative at Porsche Santa Barbara. Porsche designs each vehicle from the ground up with meticulous attention to performance capabilities so drivers enjoy the highest standards of control and power on the road and on the track. From the engine parts to the brakes, to the wheels and tires, each piece is crafted and chosen to meet exacting standards. Each model features a different combination of design, power, and control to provide drivers with the perfect selection of sports vehicles to fit any lifestyle or preference. The Santa Barbara Auto Group is dedicated to providing the best sales and service experience in Southern California. To learn more about any of the popular Porsche models including the 2013 Porsche 911 or Porsche Boxter, feel free to call, email, or stop by for friendly personal service.